Has anyone tried any of this stuff? You can get 5 gallons shipped for $132. Mainly looking at the crawfish formula. Any thoughts or opinions. It’s polysol plastic. Just my 2ct but there is better plastic for pennys more. I'm using the medium and soft. Seems OK so far. Pretty good stuff IMO. It takes reheats better than any other plastic I've used. It has micro bubbles like all plastic but dissipates faster than others. I really like it. I seen this thread the other day and thought what the heck I’ll try it out. Wound up ordering the sample pack to give a try. Can’t hurt to dabble and try things out. I have to agree. I've reheated several colors up to 5 times and no discoloration or scorching. The micro bubbles are definitely there, but I just try and stir them to the sides. Overall I'm quite pleased with it. To each their own I tried it once before and had bubble issues which is not a big deal for people who cook in pots , which I do sometimes . Most of the time I cook in the micro and the bubbles drive me nuts. What I should have said was it reheats well like most plastics but the bubbles are there. Just my opinion there are other plastics out that don’t bubble at all and reheat as well for price point close to what they charge. I’m not saying it’s junk. All I’m saying is if price was all that matters like it did for me when I first started making plastics then by all means you just have to accept the characteristics of that plastic . I'm always looking to try new things, which brand do you use that reheats as well with less bubbles? I got a little less than a gallon left so its almost time to order some more. Have any of you guys ordered polysol from this site? Bait junkies is now directing you to the polysol site to order plastic. They are no longer selling plastic just molds. So is polysol what baitjunkies has been selling? Thanks. Great to know. I don't want to change. Oh wow! Just saw the price on the gallon of baitjunkys plastisol. Can't beat that price! What hardness do you think would be good for swimbaits? I looked through the search bar, and a lot of guys are saying that the medium is a pretty good choice for most baits. Would this include swimbaits with vortex-style and paddle tails? You guys are much more experienced than I am. Any suggestions? Im using medium on mine cause I want them to last longer than 1 fish and done. But I only make the 4" swimbait. 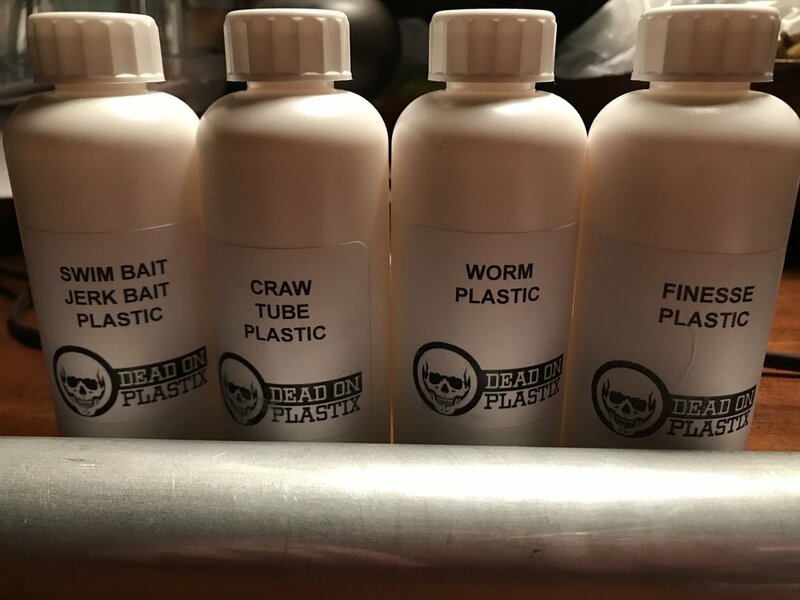 I also confirmed last night, they Baitplastics.com will be offering both brands in single gallon 5 and 6 packs effective immediately. No more buckets..
Leonard is the Baitjunky's degassed? Yes.. There not selling it economy any more, Only degassed. Great news! Now to rid myself of this “strong man” keg! Medium plastic is all I buy. I keep a bottle of softener and hardener on hand in case I want a little different action to the plastic. most of my crappie baits get a little softener and everything else I've done so far has been just straight medium. I'm glad they are going to continue to sell baitjunkies plastic, I hate to change when I just now got everything dialed in lol. ME TO! The grass is not always greener on the other side!